The transposed heads : opera in one act / Peggy Glanville-Hicks. 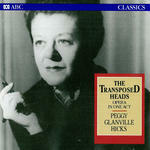 The transposed heads (1953) for opera Peggy Glanville-Hicks 1 hours, 18 mins, 5 sec. Text by the composer after the story by Thomas Mann. Capture session: Recorded at ABC Studio 620, Perth, September 1984. 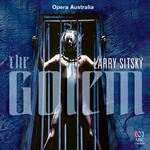 Performers: Gerald English (tenor) ; Michael Leighton Jones (baritone) ; Genty Stevens (soprano) ; Maggie King (speaking part) ; Raymond Long (speaking part) ; Festival Chorus ; West Australian Symphony Orchestra ; David Measham (conductor). CD: Abelard & Heloise : a musical drama in two acts, performance highlights.